What’s Poppin’ Tonight! 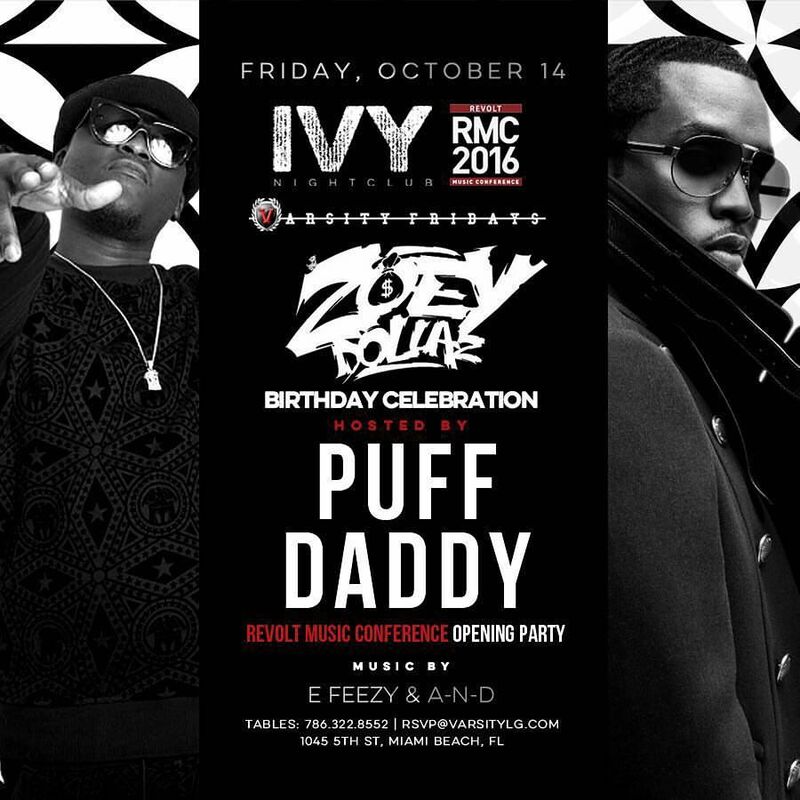 #VarsityFridays presents Zoey Dollaz BDAY Hosted by Puff Daddy at IVY Nightclub #RevoltMusicConference #RMC2016 ~ Phresh Hott New! Tonight! 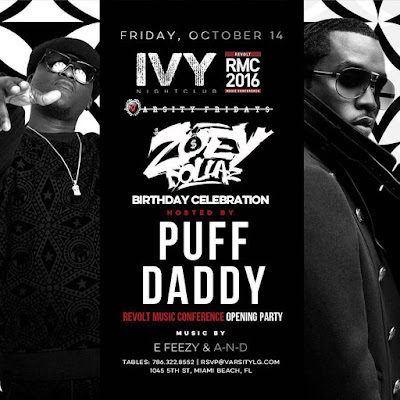 #VarsityFridays " The #1 Friday Night Party in the country" presents Zoey Dollaz Birthday Celebration Hosted by Puff Daddy + Revolt Music Conference Opening Party + More. Presented by Varsity LG + more at IVY Nightclub.